Nominations are now open for the 2012 Father of the Year for Victoria | Father's Day Council of Victoria Inc. The award recognises exemplary fathers of outstanding character, to raise the profile of fathers dedicated to their families and family life, and to recognise and advance the status of good fathering practices. Andrew Streader, 2011 Father of the Year for Victoria. All nominations must outline the reason the candidate is worthy of recognition, contact details of the candidate and person nominating the candidate, and two referees for the candidate. Please read the full list of criteria. Nominations close 3 August 2012. Since 1956, the Father’s Day Council of Victoria has named a Victorian Father of the Year, in the lead up to the annual Father’s Day celebrations. Past winners include Bert Newton, Olympian Ron Clarke, basketball legends Lindsay Gaze and his son Andrew, and Olympic rower James Tomkins OAM. Annually, a Local YMCA Community Father of the Year is awarded in every region where there is a YMCA. The Father’s Day Council of Victoria considers all Local Community Father of the Year recipients when selecting the Victorian Father of the Year. Visit the YMCA Victoria website for more information. 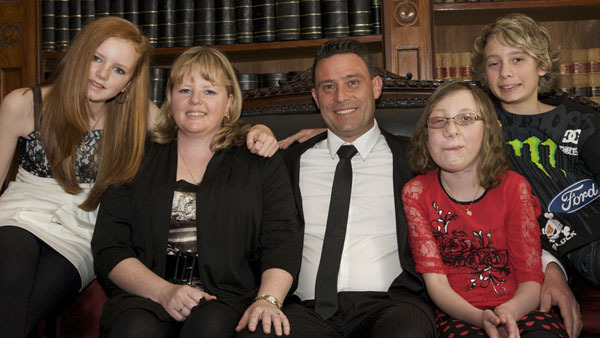 Download the media release: MR Victorian Father of the Year 2012 Nominations open.